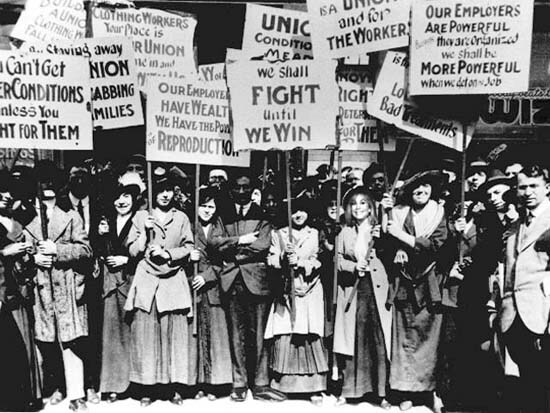 August 26 marks Women’s Equality, the anniversary of passing of the 19th Amendment, granting American women the right to vote in all public elections. The moment was 72 years in the making, the culmination of a long and ceaseless campaign by American women and their male supporters. This August 26, we raise a glass to voting rights for women, and to the long hard road our forebroads marched to enfranchisement. Combine ingredients in a cocktail shaker without ice and shake vigorously to emulsify. Add ice and shake long and hard. Strain into a chilled cocktail glass. We’re thrilled to celebrate history-making forebroads in honor of Women’s History Month this March. What could be better than raising a glass (or three) to a woman who made history this month? 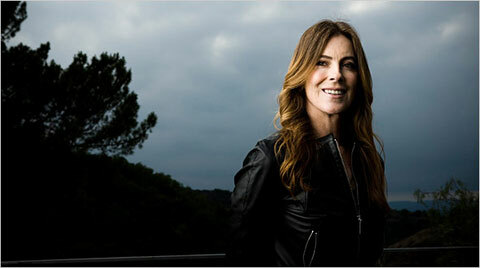 On March 7th, Kathryn Bigelow became the first female director to win two of the most coveted Oscars the academy has to offer, “best director” and “best film,” for her low-budget, low-grossing, critically acclaimed drama, The Hurt Locker. (It also managed to beat out a little ditty directed by her ex-husband that cost over 15 times as much to make and grossed almost 100 times as much at the box office.) Bigelow is the first woman to take home the best director title in the ceremony’s 82-year existence. LUPEC Boston was shocked to learn how sorely underrepresented women are among Hollywood’s power elite. Dr. Martha Lauzen of San Diego State explains the phenomenon in her regularly published “Celluloid Ceiling” survey: Of the top 250 grossing movies this year, just 16 percent of directors, executive producers, producers, writers, cinematographers and editors were women. Female directors represented 7 percent (the same percentage they held back in 1987, when hair bands and acid-wash jeans seemed like a good idea), and women writers make up only 8 percent. Nevertheless, 2009 was heralded as “The Year of the Woman” in Hollywood, in part because two of the year’s top-grossing films (New Moon and The Proposal) had female leads, and also because some high-profile female directors had new releases, including Nora Ephron, Jane Campion and Lone Scherfig (whose An Education was also a best picture nominee). But Bigelow was the fourth woman to even be nominated for best director since the advent of the academy. This season, Bigelow’s gripping Hurt Locker swept the awards circuit, racking up trophies from the Directors Guild of America for “outstanding direction,” a nomination for a Golden Globe, a “best direction” award from BAFTA, nine Oscar nominations and six Oscar victories. Today we raise a glass to Kathryn Bigelow, who is accused of making movies “like a man” nearly as often as we are accused of drinking like one. Combine ingredients in a cocktail shaker and dry shake to emulsify. Add ice and shake vigorously. Strain into a chilled vintage cocktail glass. Garnish with fresh-grated nutmeg.